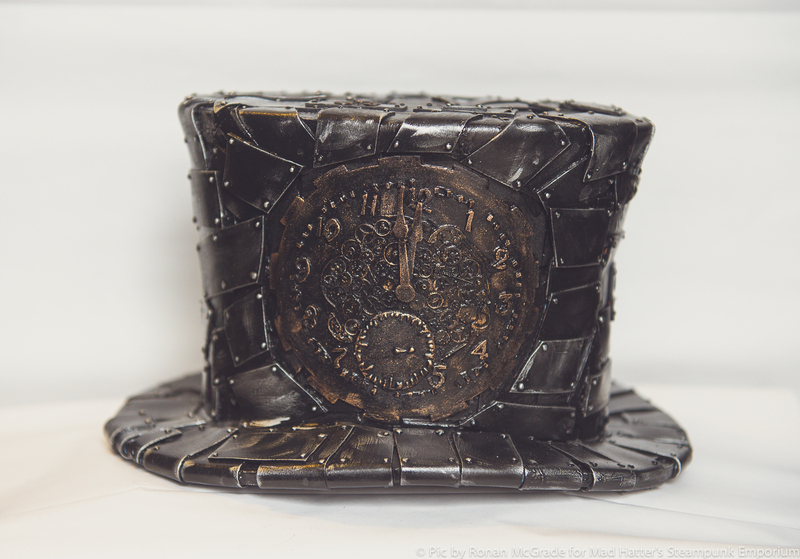 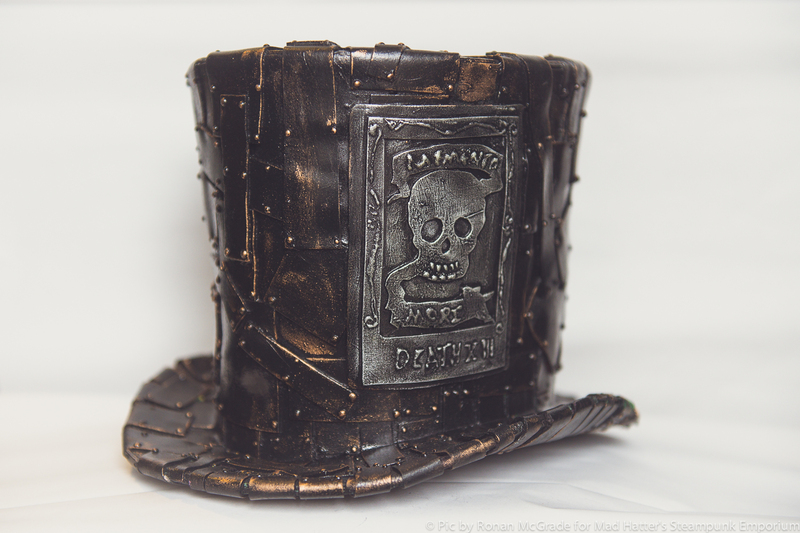 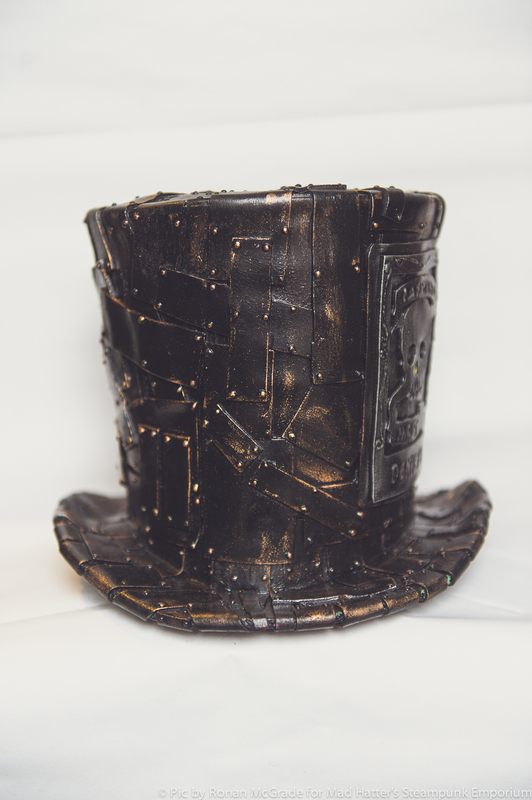 Inspired by the Ghede loa, the spirits of the dead, this metallic finished, patchwork style top hat has a tarot card on one side. 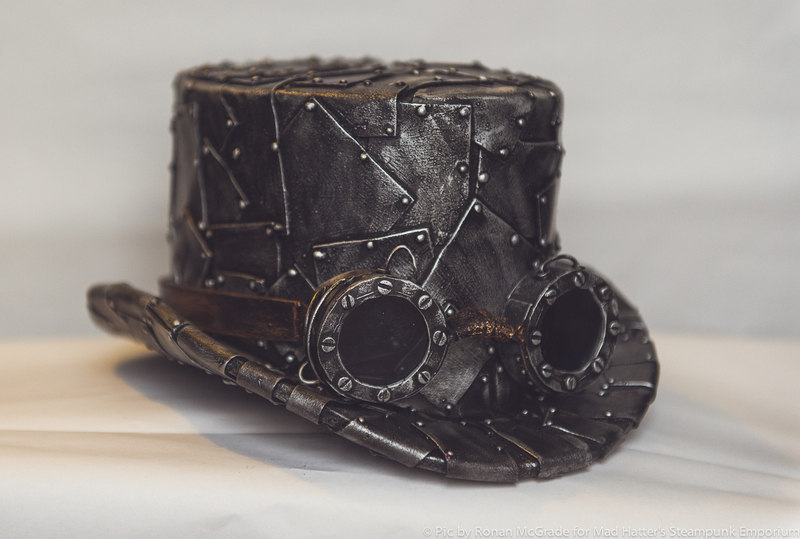 Perfect for a Steampunk Voodoo party. 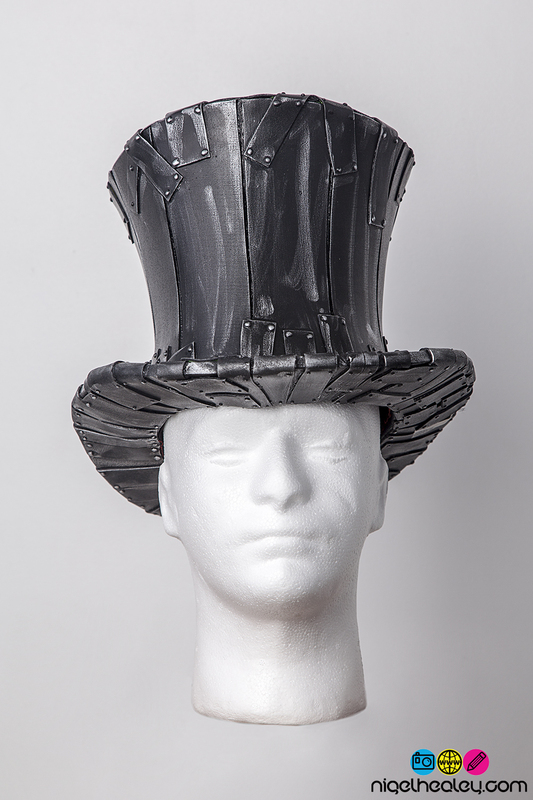 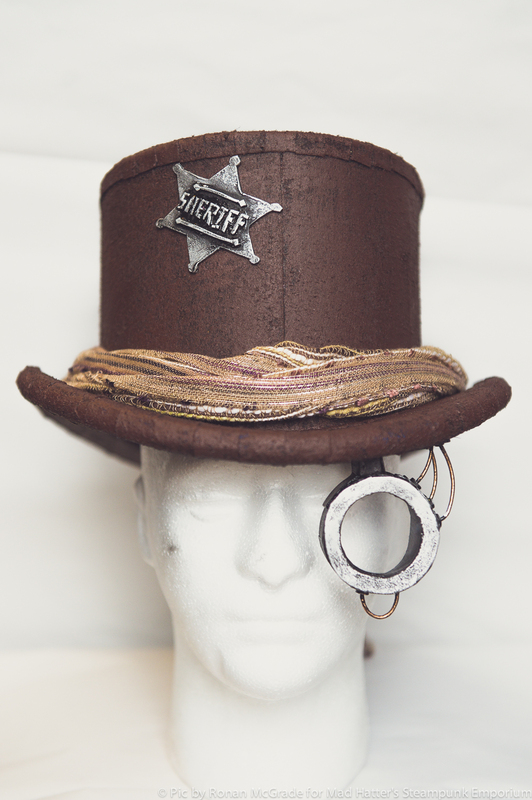 Click on the Sizing and Material Information link for top hat sizes.